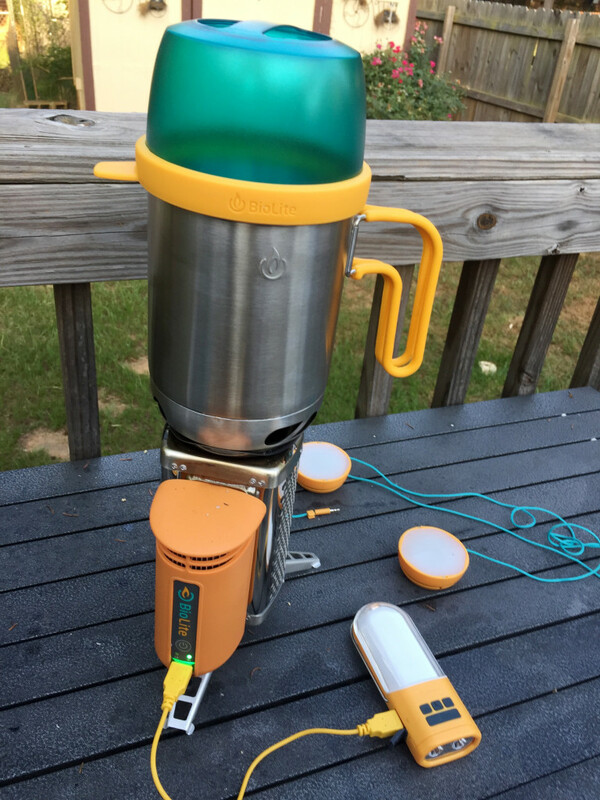 WHAT IS THE BIOLITE CAMP STOVE? The little stove that could…power your devices? That’s right. The BioLite has a USB port to charge your gadgets. The energy comes from excess heat generated from the fire. The orange part of the stove contains a thermoelectric element, a fan, a battery, and a microprocessor. When there is fire in the chamber, a copper probe transfers the heat to one side, and on the opposite side, cool air allows ions to jump across and generate electricity. The charge powers a fan that pushes air through vents and assists the flames. You literally power your phone using the leftover energy created while cooking your meals or roasting marshmallows. Pretty brilliant if you ask us, and the sleekly designed stove and accessories are easy on the eyes as well. 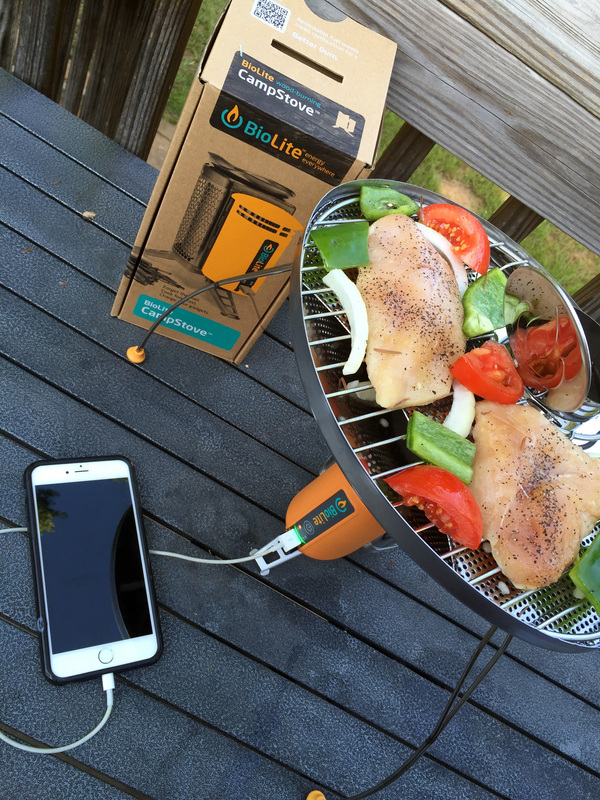 Cook dinner and charge your device! Science is awesome. Once your flame has been going for a few minutes, press the single button on the power module to being charging. Soon after, a green light turns on around the USB port and, voila, power! Charge times depend on the capacity of the battery and the speed of the USB connection. It won’t be able to bring your phone to 100 percent while you boil water, but our tests proved that charging during a regular meal cooking–around 20-25 minutes–increased the battery on an iPhone 6 by 15 percent, which translates to a couple hours of talk time. If you want to go for more battery power, just keep the flame going as a campfire after you’ve finished cooking. We loved being able to stream music while having dinner without running the batteries down. And yes, we know that tons of people go camping or backpacking to “get away from technology,” but for those of us who enjoy using our devices for GPS, music, or photography, this is an important feature. To each their own! 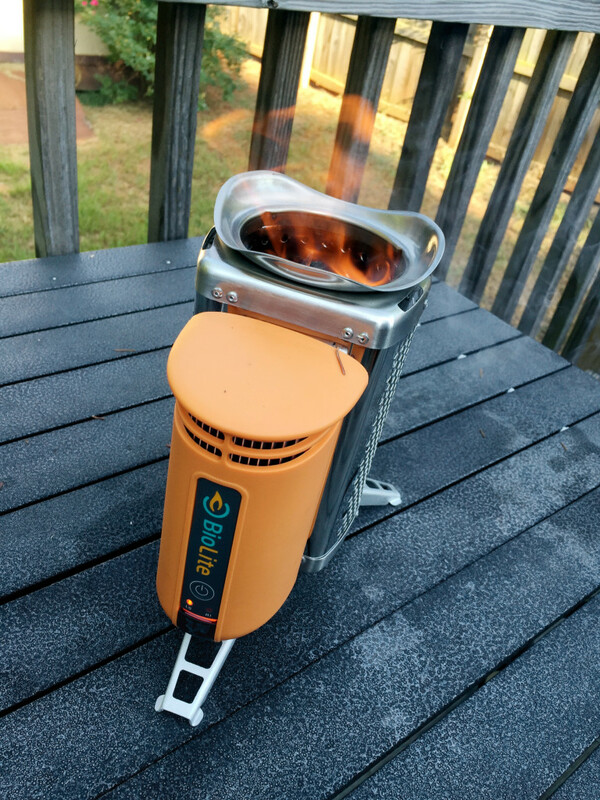 Another cool feature of the BioLite Camp Stove is what it burns. You feed it pinecones, twigs, wood pellets, etc. The CampStove is designed to burn small, easily gathered biomass. The flame produces almost no smoke (a nice change from traditional wood fires!) but is strong enough to quickly boil water, grill your meat and veggies, roast marshmallows, and perform just as well as any traditional propane-fueled camp stove. If you have kids, they’ll love helping to gather twigs for burning. Keeping them busy and involved is a definite plus for camping. Twigs and other biomass go directly into the chamber. You will have to pay attention to the stove as it’s going… Make sure you have plenty of stuff to burn, as it goes through fuel rather quickly. Even so, not having smoke billowing into our faces was worth feeding the stove a little more often than you would an open fire. Add the CampStove Grill to your Biolite package and make cooking even easier. The steel grill surface accommodates about four hamburger patties or six hotdogs at a time. 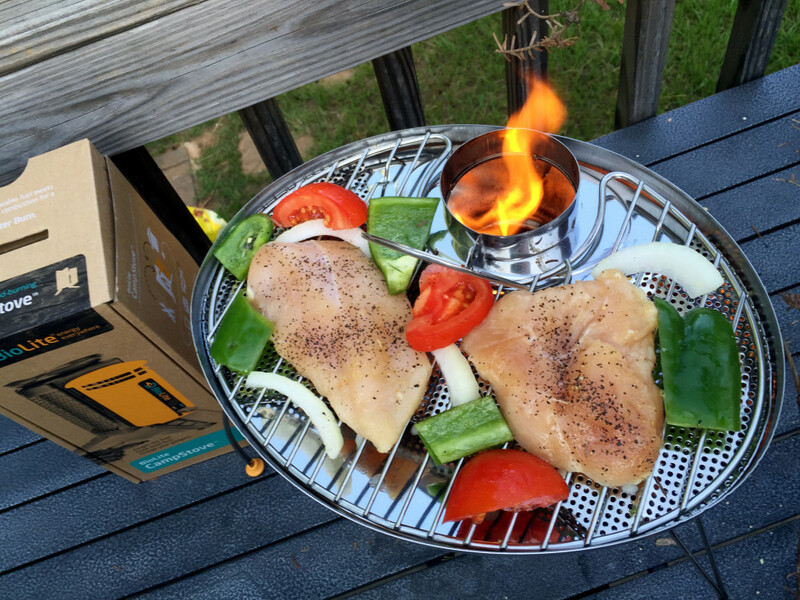 We grilled chicken and veggies on ours and everything cooked to perfection. While using the grill feature, you stoke the fire in the CampStove by flipping the fuel intake lid and adding more wood. This doesn’t interrupt your grilling, so don’t worry about that. The legs fold up, making the Grill an easily portable addition to the CampStove. So many great cooking options. Another item worth adding to your Biolite collection is the Kettle Pot. The pot pours as a kettle and cooks like a pot. Another cool feature? It doubles as a carrying case for the CampStove itself, making the whole package more portable and compact. The KettlePot – pours like a kettle and cooks like a pot. 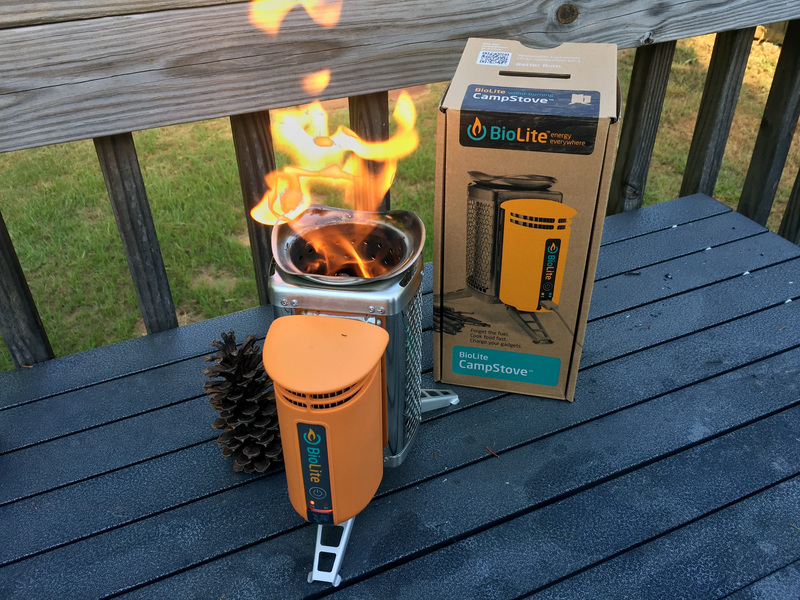 Recently Biolite expanded their line of off-grid gadgets with its clever NanoGrid system. 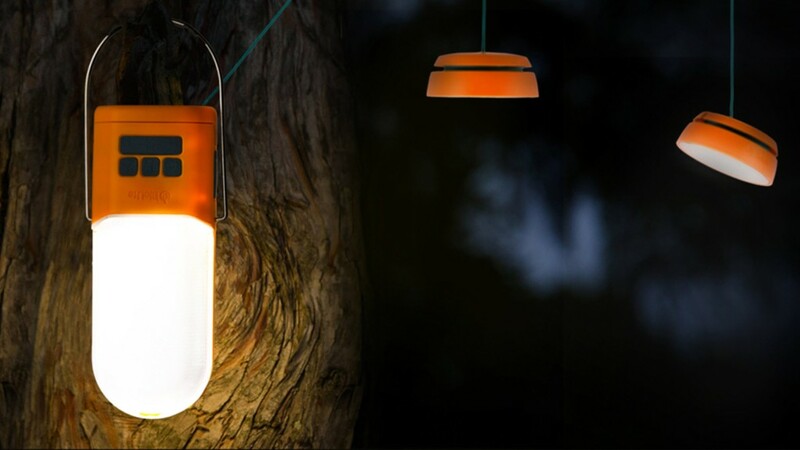 NanoGrid is a combined lighting and power storage system that keeps your camp illuminated while serving as another charging option for your devices. The set comes with one PowerLight and two SiteLights. The PowerLight fits in the palm of your hand, but gives off enough light to replace a flashlight or to use as a lantern to illuminate your campsite. The SiteLights are an addition to the PowerLight, lending themselves to the NanoGrid’s ability to provide illumination for your camp. I can’t tell you how many times one of us have run smack into a tent cord due to only using a flashlight and a campfire for lighting. This system gives your camp a nice, warm light without taking away from the ambiance. The SiteLight cords are integrated into the design for easy hanging, and they clip together for easy storage. Biolite isn’t just about making cool stuff for camping enthusiasts– they actually stand by their mission to bring “energy everywhere.” (Check out the hashtag #energyeverywhere on Instagram). Their website informs us that over 3 billion people still have to cook indoors using smoky wood fires, and that 2.5 million have little or no access to electricity. Check out some of the work they are doing to help people breathe cleaner air and gain access to clean energy, including the development of the Biolite HomeStove. Overall, Biolite has earned its buzz and is creating innovative products that are changing the way many people camp and live. Check out their full line of products and get more details at www.biolitestove.com/.